This is a commissioned painting of a dog named Dusty. During his life his owner liked to carry him around everywhere. Dusty liked stuffed animals too. 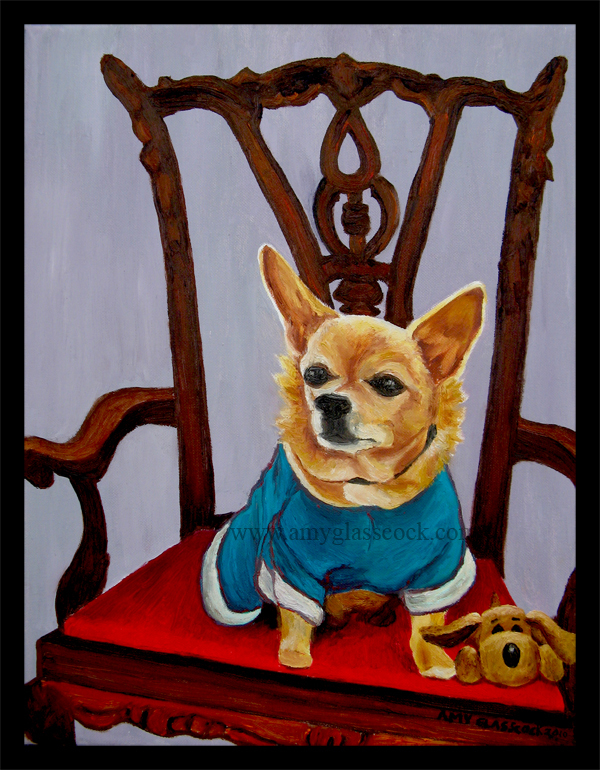 So I portrayed him as a somewhat pampered pooch on his crimson throne. I really love how this turned out! 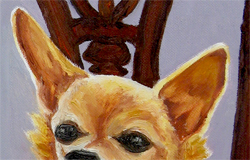 If you would like to commission your very own pet portrait there is no better time than now to beat the holiday rush! Click here for more info.